Describe yourself: Man… I have the best sense of humour! 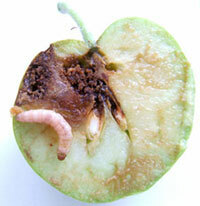 Ready… “What’s worse than finding a worm in your apple?” “Finding half a worm in your apple!! !” That joke’s about me, well, me, when I was a little tacker! Now that I am all grown up I am a pretty handsome fella, grey coloured, with light grey and copper colour on my wings… which are a pretty impressive 20mm across! 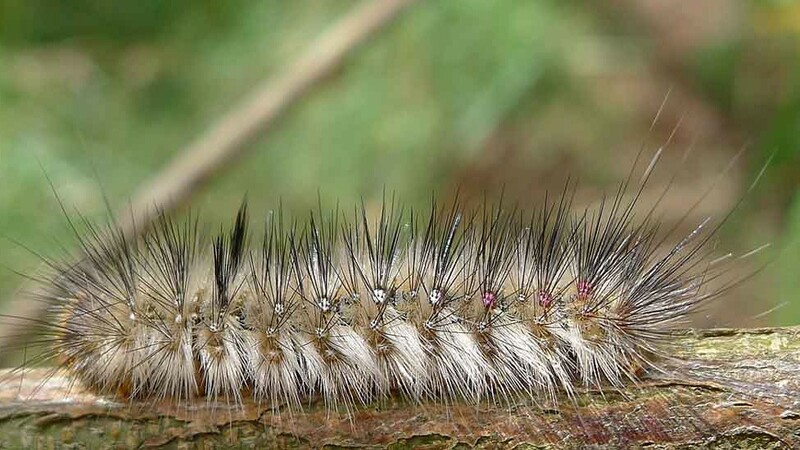 Hobbies: Laying pin head sized eggs after dark, munching right into the middle of fruit, pupating in loose bark, breeding! Likes: Well, as a young kid I love apples, pears, quinces and crabapples. My dad loves cheap sherry and port, and mum loves laying eggs when the temperature gets over 15 degrees at night time. Mum really loves it when the trees have just finished flowering, it makes her want to have babies! Dislikes: Clean trees and gardens, chooks, when people remove fruit with holes in it. 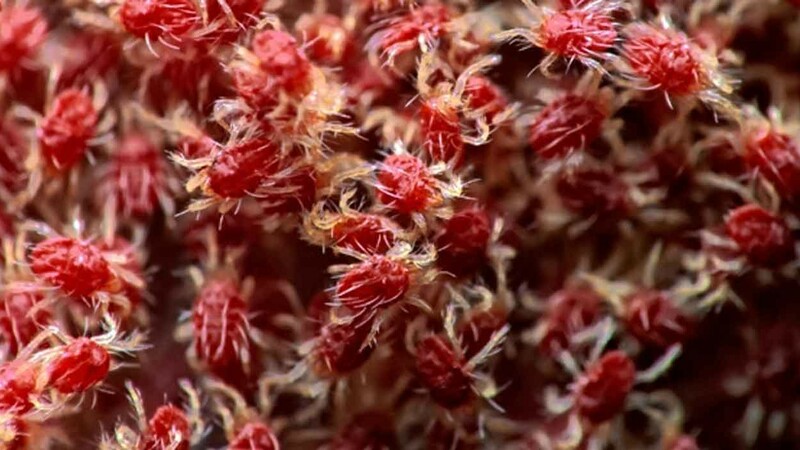 I hate soaps – like home made chilli soap, or store bought stuff (like Beat-a-Bug). I can’t stand Dipel… this stuff makes me sick! 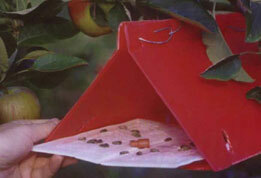 There are also codling moth traps (Desire) which I am a real sucker for. Dad can’t really handle his port and sherry! You’ll know you’ve met me when: Your fruits (especially apples) will be riddled with holes, brown and squishy on the inside, and will fall of the tree really early! Inspect the trees every few days, collect any fruit you find with small holes and destroy it by placing it in a sealed, black plastic bag in the sun. Or feed it to the chooks! 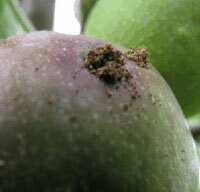 Remove loose bark and leaf debris from the tree, to reduce hiding places for cocoons.